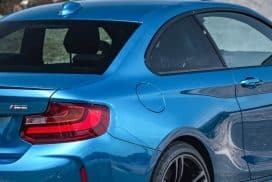 Problem: Confusion on how to defrost windshield. Solution: Put heater / blower controls in proper settings. 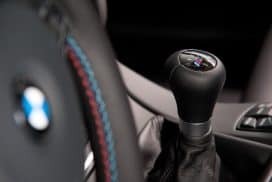 All modern day BMWs have a dedicated windshield defrost button. Humid mornings when condensation occurs or a sheet of frost in the winter can often cover your windshield requiring the defrost function to be turned on. With the press of a button the car will automatically configure the blower fan speed, temperature and vent direction. Within minutes, one is able to see clearly through the windshield and drive safely on the road. 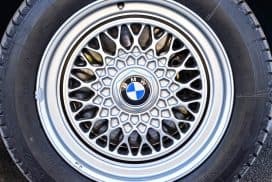 Older BMW models from the 80s and early 90s do not feature this button in comparison. 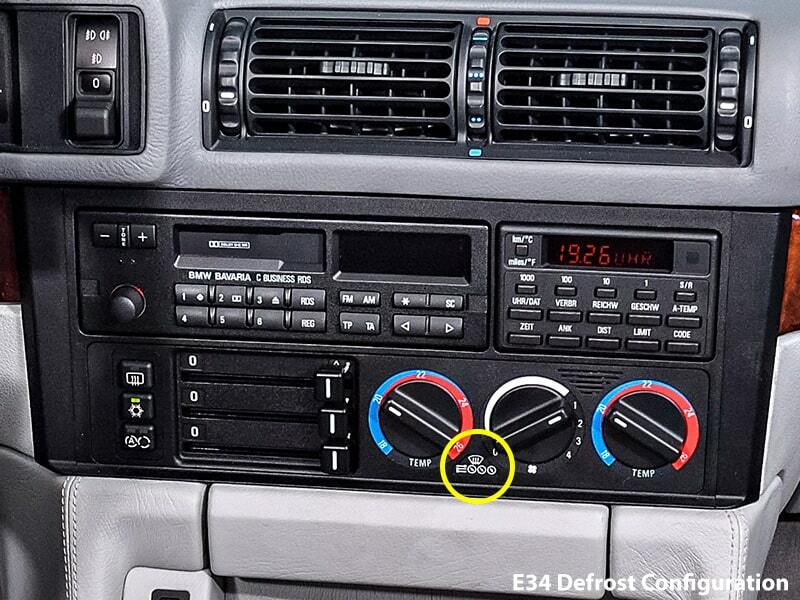 Most E30 or E34 owners may think their vehicle does not have defrost due to the lack of this button. 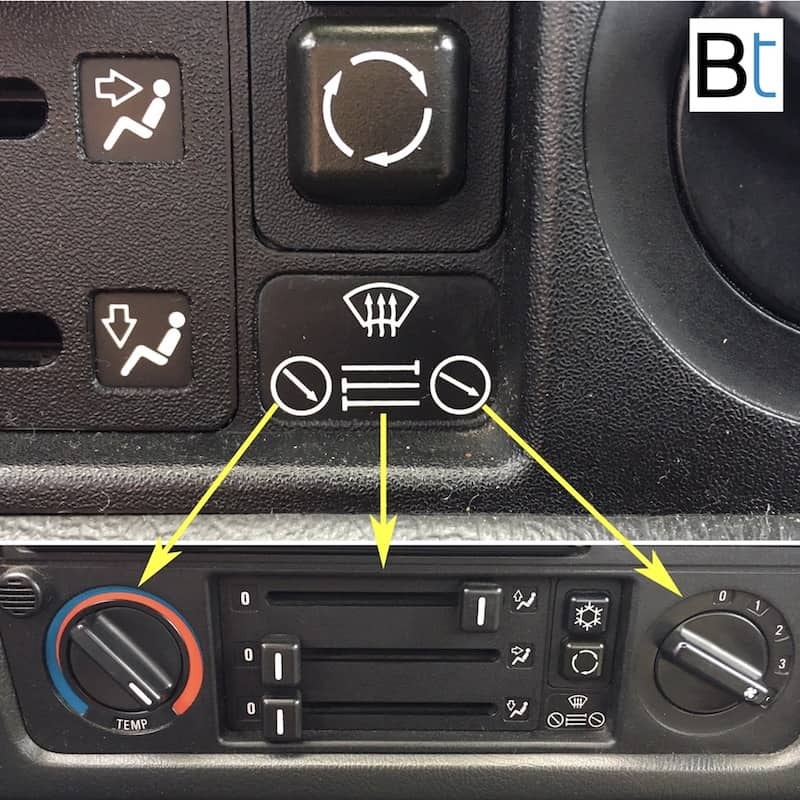 The defrost feature is in fact still part of the vehicle, but the configuration is not easily recognizable. 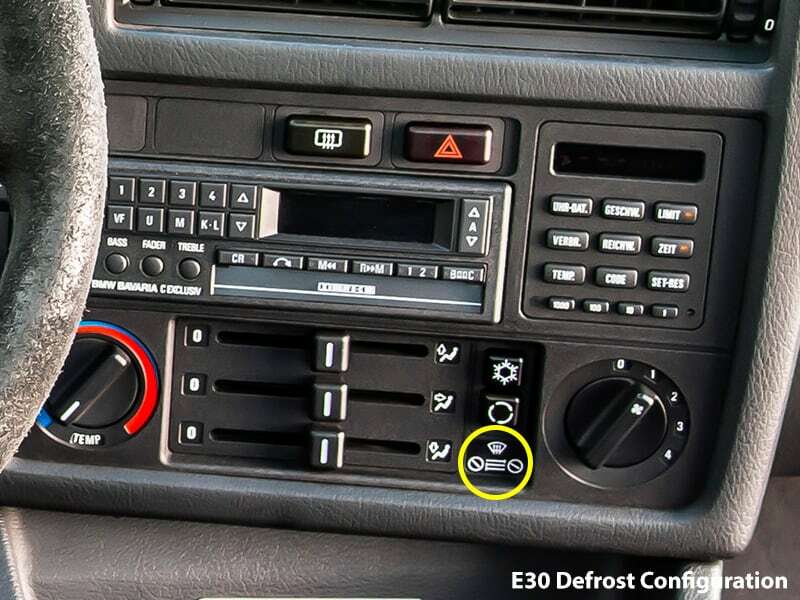 There exists a small diagram displaying the "code" or dial settings for the defrost function on the E30 and E34 models. Please see images below for clarification. Where is the diagram located? 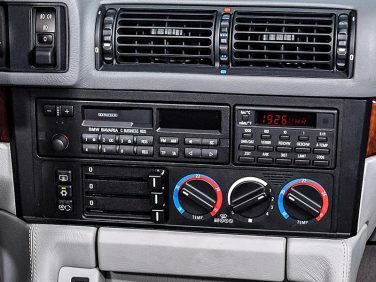 E30: Below the A/C, recirculated air buttons. 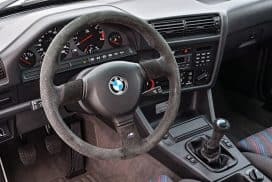 E34: Between the blower fan speed dial and temperature setting dial. Vent setting up, full open. Vent setting on face, closed. Vent setting on feet, closed. Temperature, max heat (dual climate on E34). 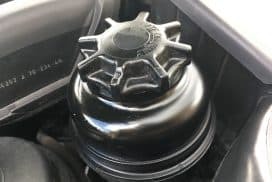 Although it is nice to have modern conveniences such as a one touch button defrost, it is very satisfying to manually adjust the mechanical dials to configure your car. 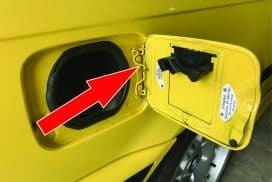 As products become more digital and less engaging due to automation, there are small things like this that make us love 80s and appreciate mechanical over electrical operation.